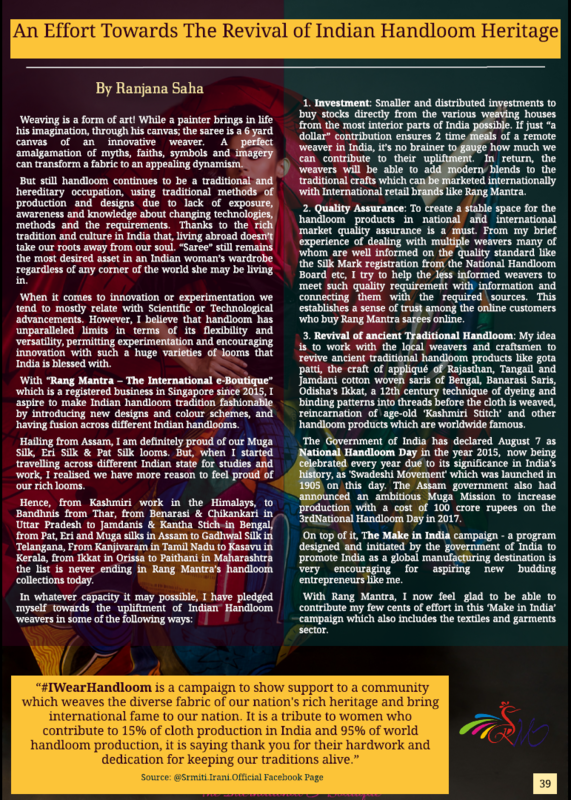 Rang Mantra is proud to collaborate with several prestigious events in Singapore. In doing so, we are obliged to present our business and collections with eminent personalities!!! 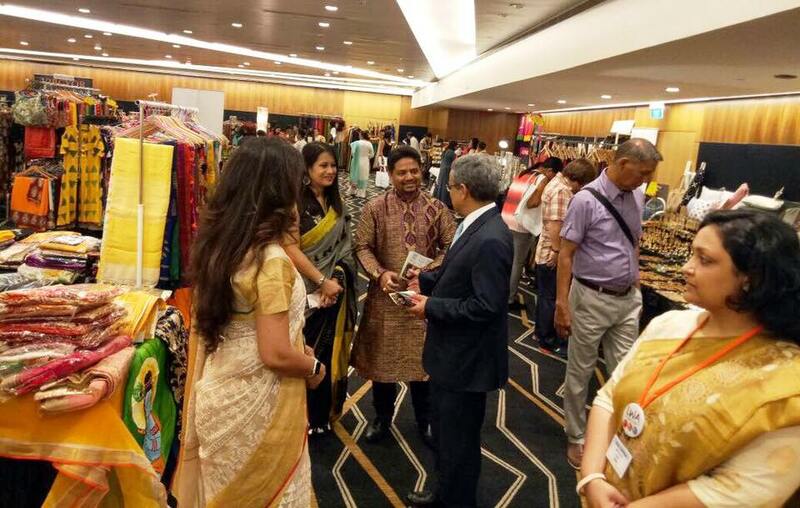 Showcasing Rang Mantra collections to the Minister to the PM office Singapore, Ms. Indranee Rajah! Felicitating the Hon. 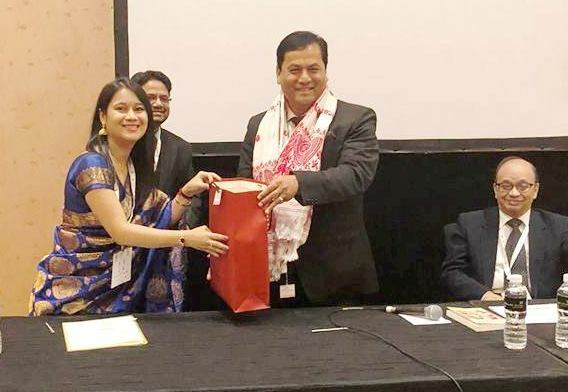 Chief Minister of Assam, Mr. Sarbananda Sonowal at the Prabashi Bharatiya Divas 2018! With the celebrity Fashion Designer- Mrs. Sarbari Dutta at her Fashion show in BAS Durga Puja 2015! With Mr. Desmond Lee, Minister of Home Affairs, Singapore at a function in 2015! With the Hon. 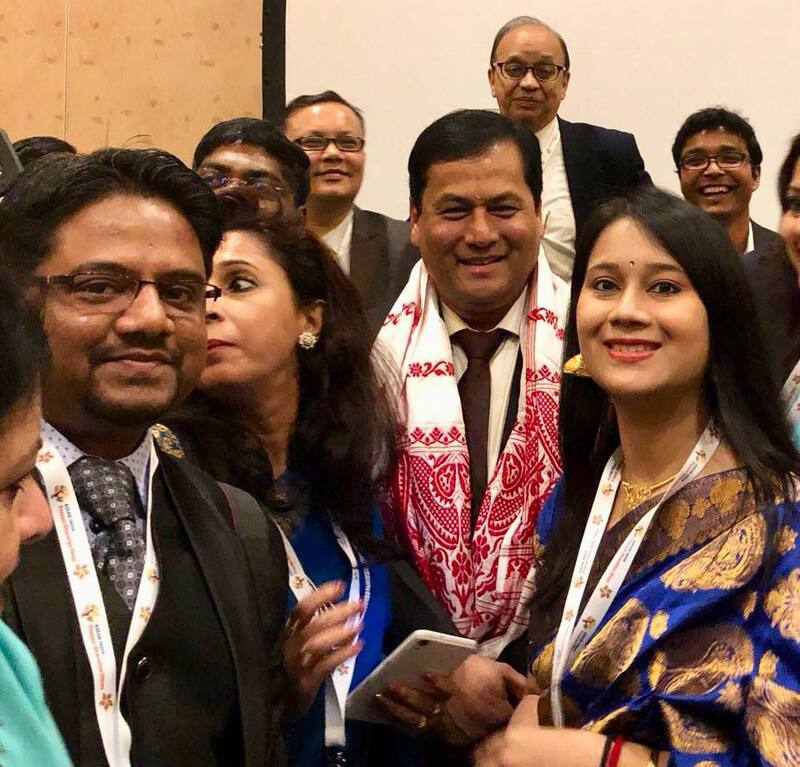 Chief Minister of Assam, Mr. Sarbananda Sonowal at the Prabashi Bharatiya Divas 2018!